The Catholic Church’s safeguarding programme involves us all: the Parish Priest, the Parish Co-ordinator, volunteers, the parish community. 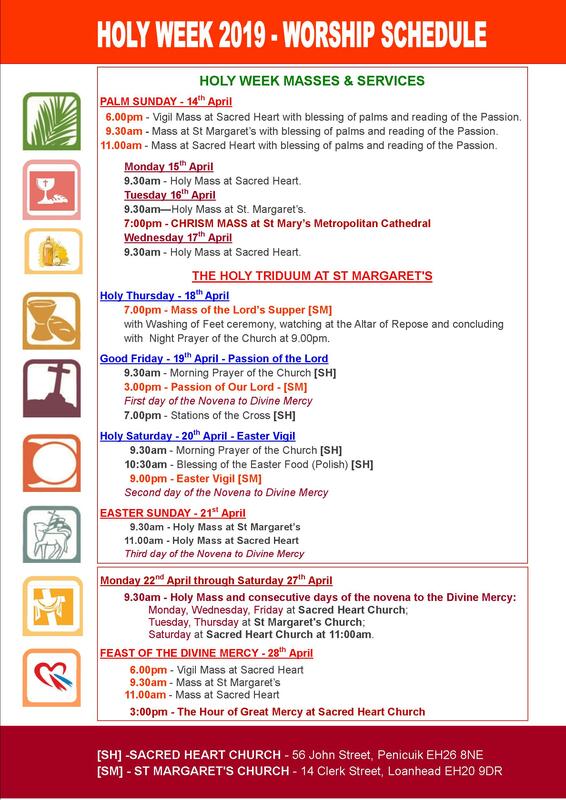 Here in the Parish of the Sacred Heart & ST MARGARET we have a number of families with children of all ages and at all stages of their faith development. We are fortunate in having a number of Catechists who undertake the task of introducing the children to their faith and of preparing them for the Sacraments of Reconciliation, the Eucharist and Confirmation. We also have a number of volunteers who provide support to the children by presenting the Liturgy of the Mass of the day through a range of appropriate planned learning activities aimed specifically at meeting the needs of the age range of the children. A further group of volunteers undertake the role of Extraordinary Minister of Holy Communion, taking Communion to the sick or housebound. As a parish, we warmly welcome and fully appreciate the contributions made by all those who volunteer, in whatever way and using whatever skills they may have, to enhance the spiritual and temporal life of our parish. In law, anyone who works with children or adults at risk is obliged to undertake a Disclosure check, and in our parish this process is carried out through Mrs Monica Farm, who has been approved by the Diocese to carry out the administration work involved. The Bishops’ Conference of Scotland has a further requirement that anyone who offers their services as a volunteer with vulnerable groups must complete an application form, self-declaration form and provide two character references. Lord Jesus we praise you for calling us to the service of others. We pray for a generosity of spirit to ensure the vulnerable are protected. We pray for a compassionate heart so that we will reach out to those who are wounded by abuse. We pray for courage and determination as we seek the safety of everyone in our parish communities. We dedicate ourselves to this work of service and pray that you will help us to do your will at all times and in all places. Welcome to Safeguarding Support. You will find archdiocesan and national contact details, forms to download, new documents, and details of future training events.